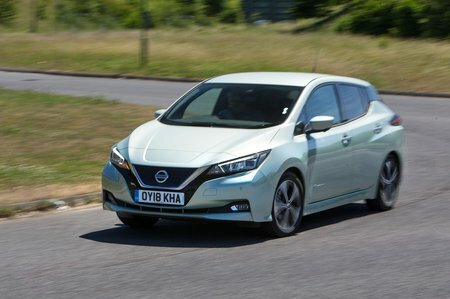 Nissan Leaf Boot Space, Size, Seats | What Car? Tall folk are unlikely to grumble about the amount of space at the front. Even though the seats are mounted quite high up in the car, there’s loads of head room and you’d have to be seriously lanky to need more leg room. The door bins are a decent size and there’s another small cubby in front of the gear selector – this is useful for stowing a phone or a set of keys. If you like a cup of coffee during your daily commute, you’ll also appreciate the two decent-sized cupholders between the front seats. There’s more rear leg room than in any direct rival, but anyone tall would much rather sit in the back of a Volkswagen e-Golf or Kia e-Niro. Why? Well, because rear head room in the Leaf is rather tight – to the point that anyone over six feet tall will have to cower to fit. That said, things aren’t as tight as they are in the back of a Renault Zoe. The e-Golf and e-Niro will be more suitable if you regularly need to carry three people in the back, thanks to their broader rear-seat areas. 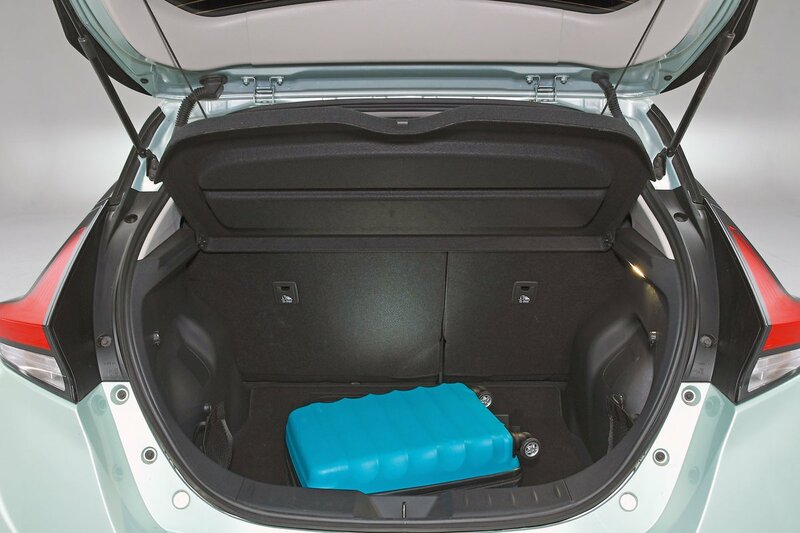 The Leaf’s rear door bins are quite small, too. There’s not a lot to get excited about here. The Leaf’s rear seatbacks fold down in a 60/40 split, but that’s the case in the majority of rivals (except the Zoe, in which the rear seatback folds in one cumbersome piece). The front passenger seat is height-adjustable and can be adjustable electrically on range-topping Tekna trim. However, there’s no adjustable lumbar support – not even on the options list. The Leaf beats its closest peers for luggage space; it managed to swallow seven carry-on suitcases in our tests, compared with the six you can fit in a Zoe or e-Golf, and the five we managed to squeeze into the e-Niro. 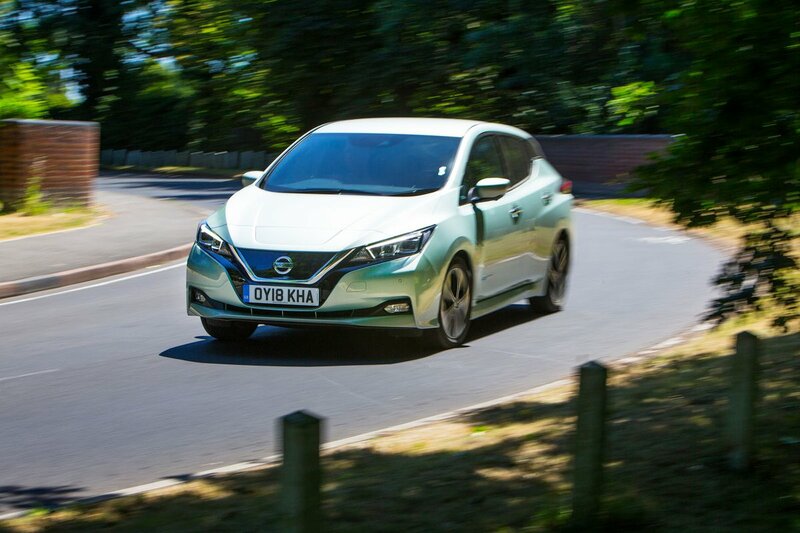 That’s mainly because the Leaf’s boot is much longer than its rivals’. The space isn’t particularly cleverly designed, though; there’s an enormous lip at the boot entrance and folding down the rear seats creates a step in the extended load bay floor. On the plus side, though, there are handy nets at each side of the boot that let you keep the charging cables neatly tucked away. The range-topping Tekna model gets a Bose sound system that steals some of the boot space for its whopping great amplifier.